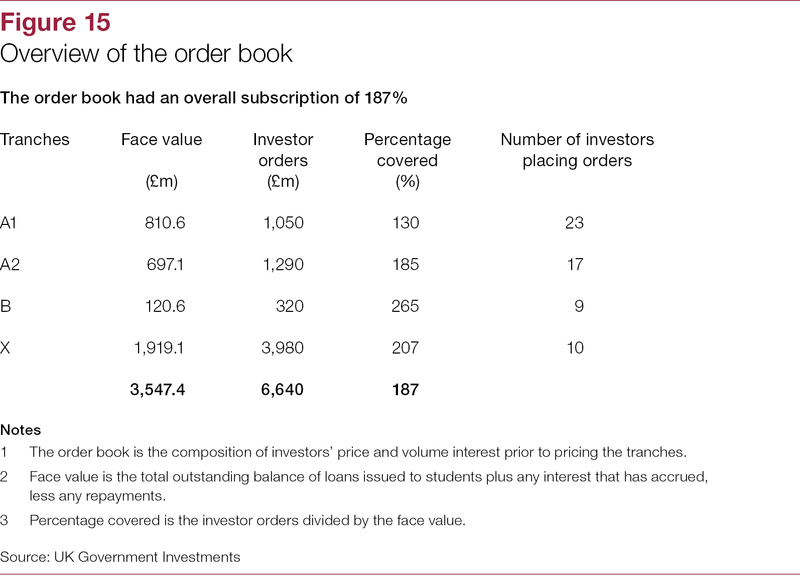 Government’s student loan portfolio is expanding rapidly. 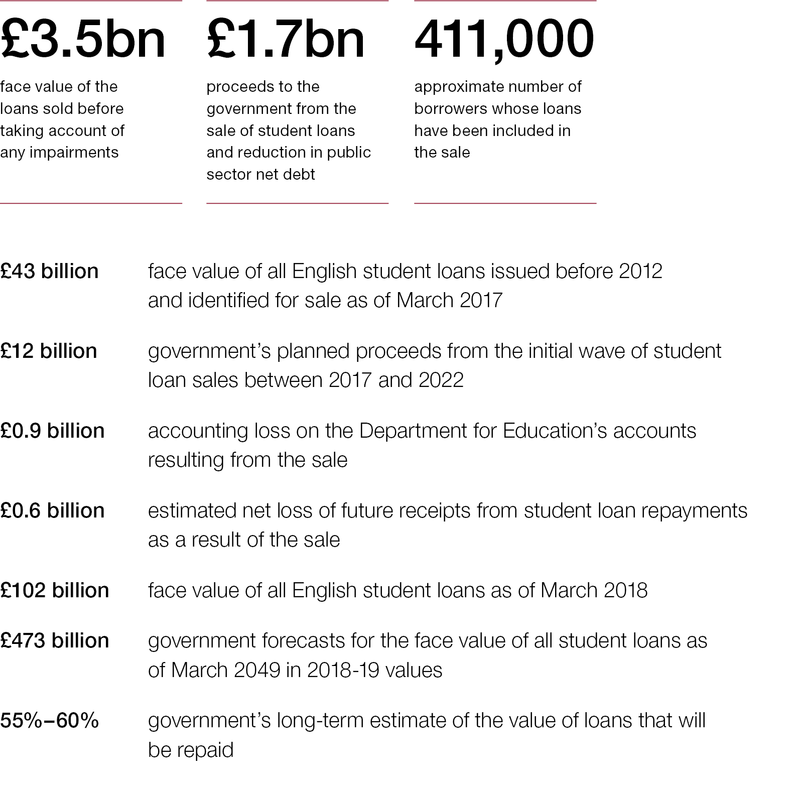 The face value of all outstanding student loans rose from £89 billion in March 2017 to £102 billion in March 2018. 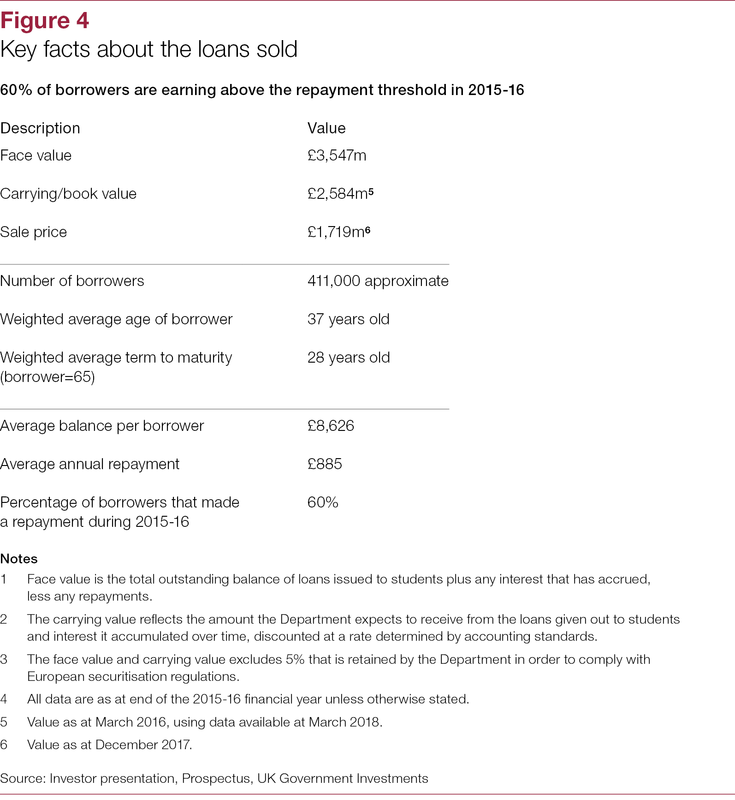 The value of outstanding student loans is expected to reach £473 billion by March 2049. 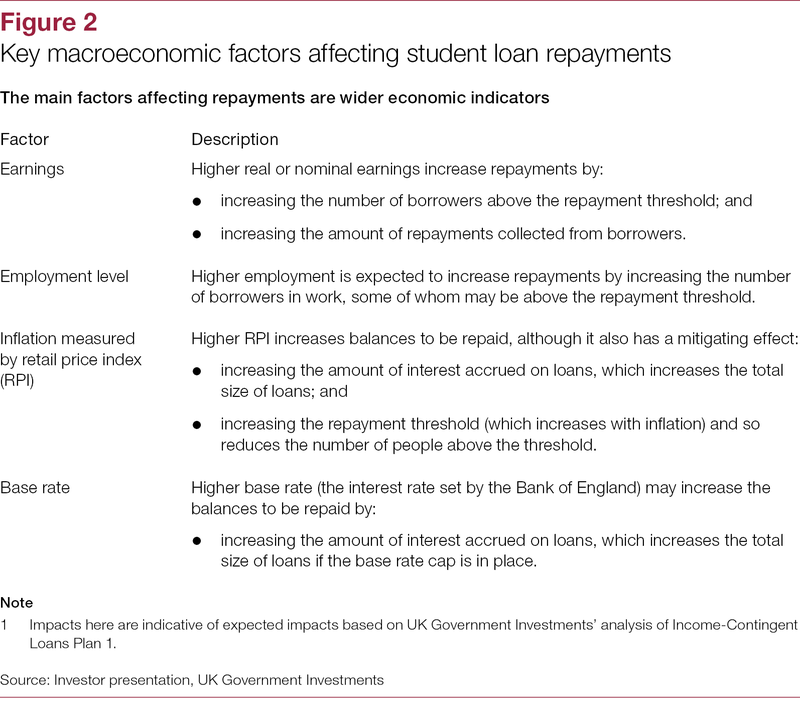 Government’s long-term estimate is that 55–60% of the loan value will be repaid. 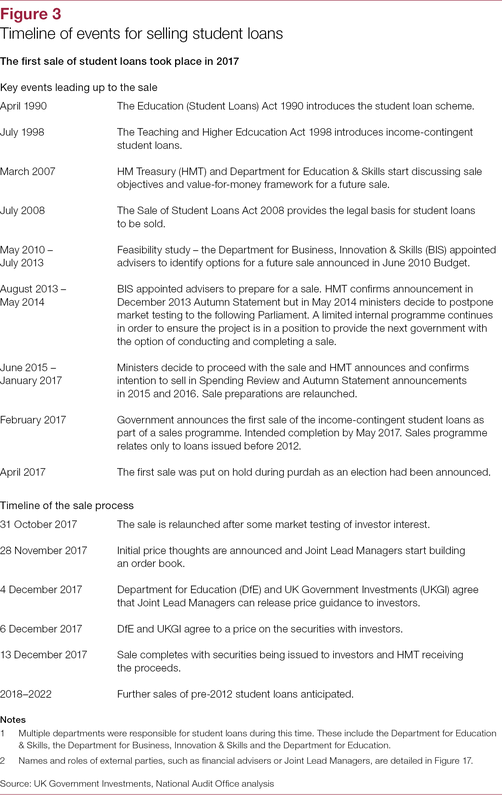 In 2013 the government decided to sell a portion of the student loans issued before 2012. 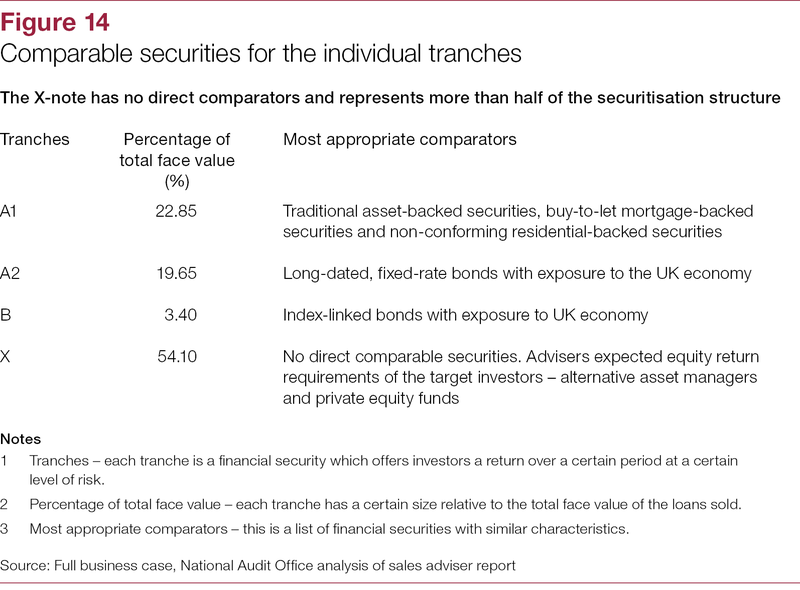 At March 2017, the face value of all outstanding loans issued before 2012 was £43 billion. 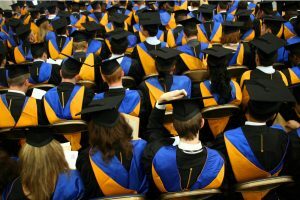 It plans to complete a programme of sales between 2017 and 2022, and to raise around £12 billion. 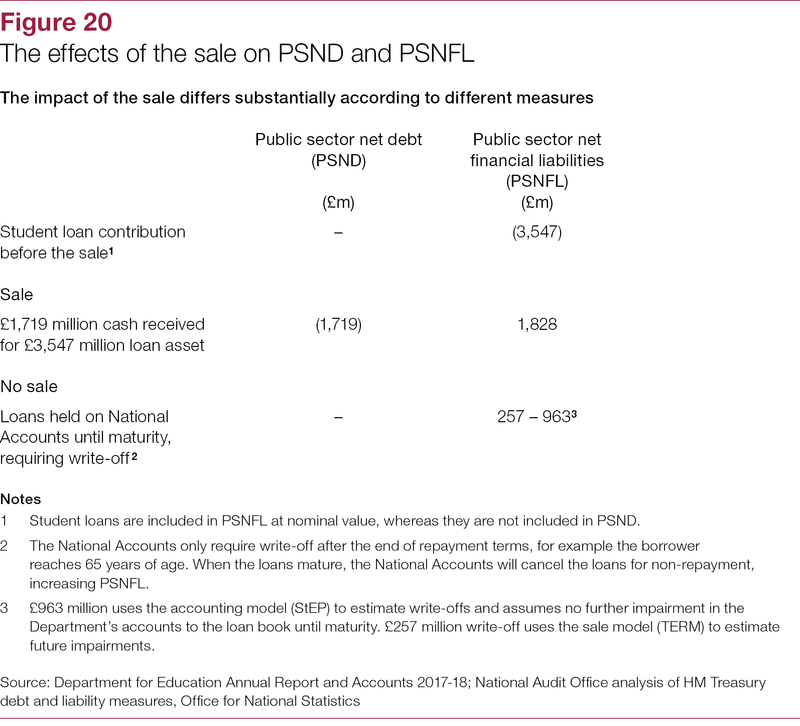 In December 2017 the government completed its first sale of loans to private investors, consisting of most loans that entered repayment between 2002 and 2006. 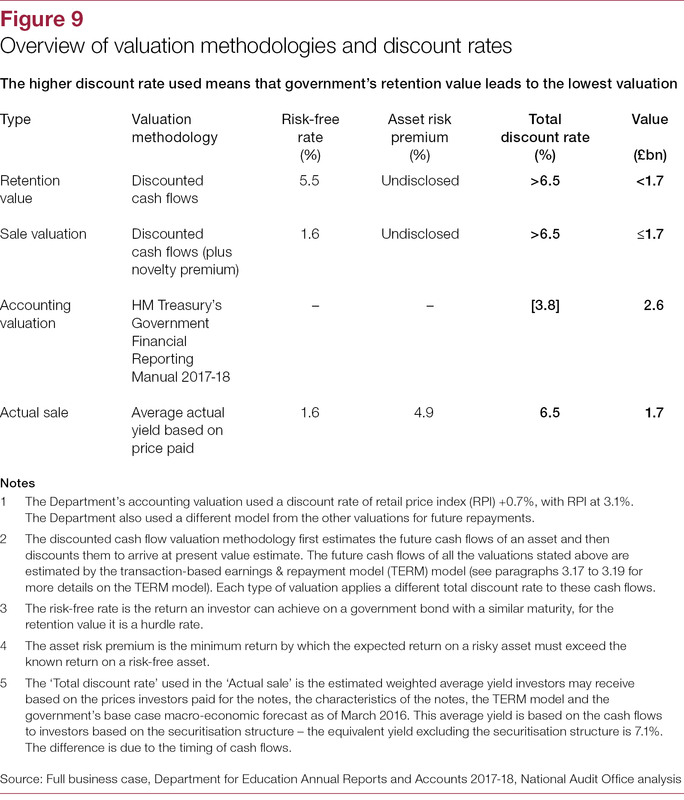 Government had three objectives for the sale: to reduce public sector net debt; to ensure there was no detrimental impact on borrowers; and to achieve value for money. 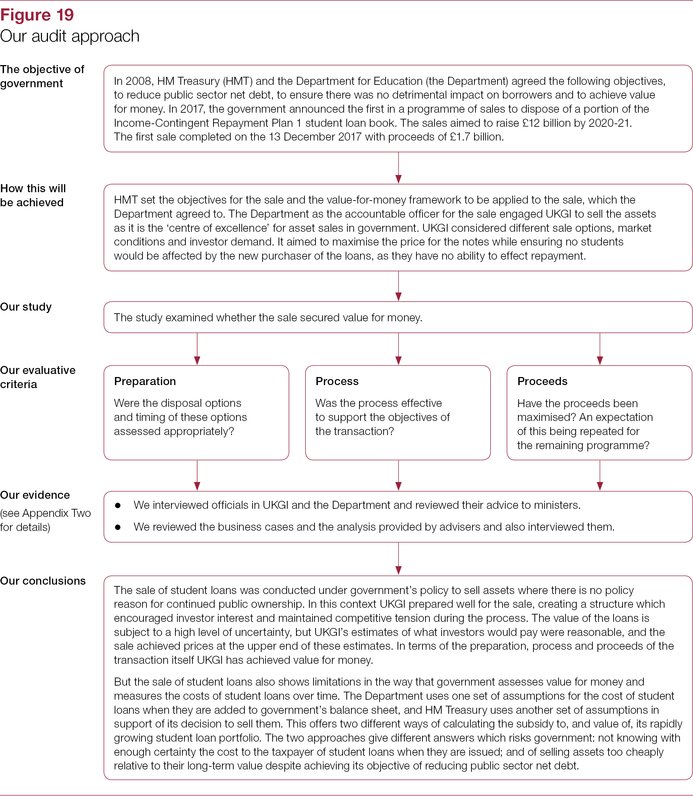 The Department for Education (the Department) sets student loan policies and oversees the administration and collection of student loans by the Student Loans Company and HM Revenue & Customs. 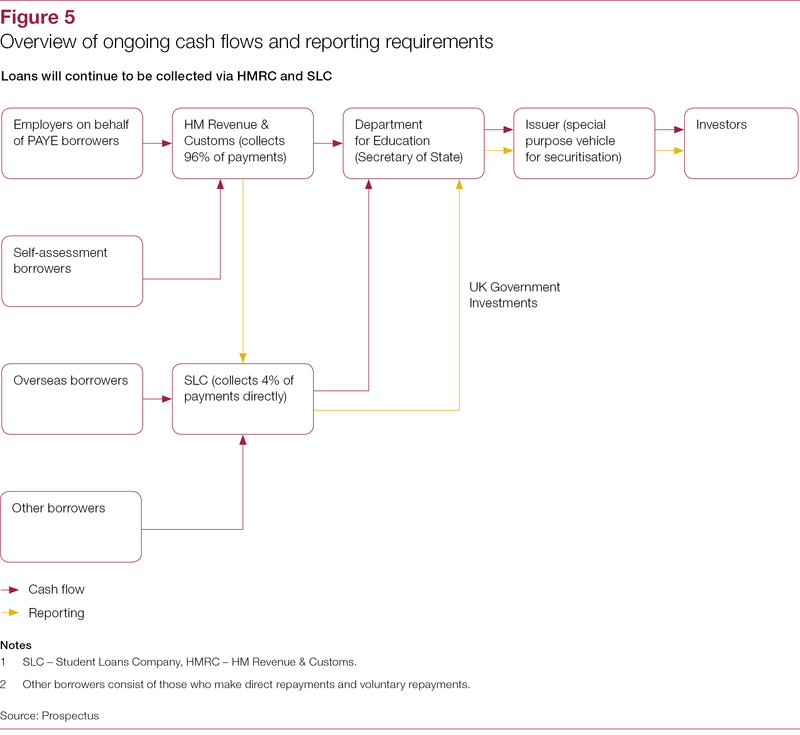 HM Treasury identified the assets as available for sale and UK Government Investments (UKGI), a company wholly owned by HM Treasury, managed the sale and acted as the Department’s transaction adviser. 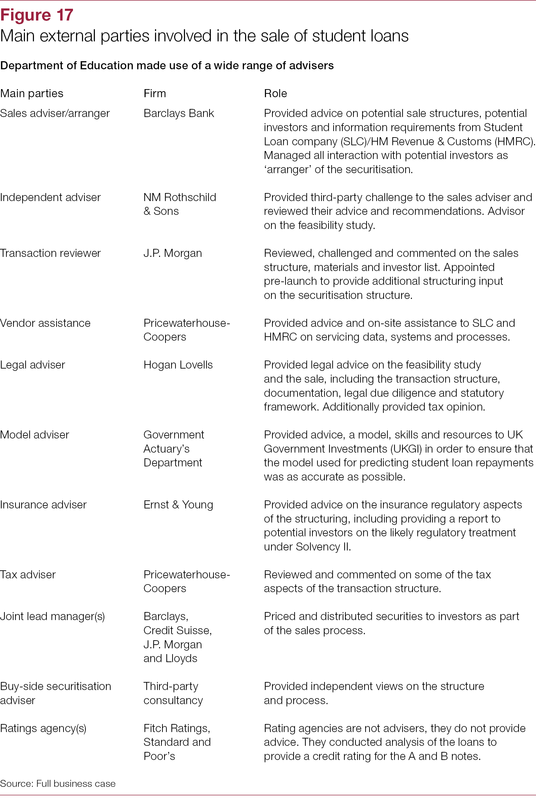 how UKGI managed the sale (Part Three). 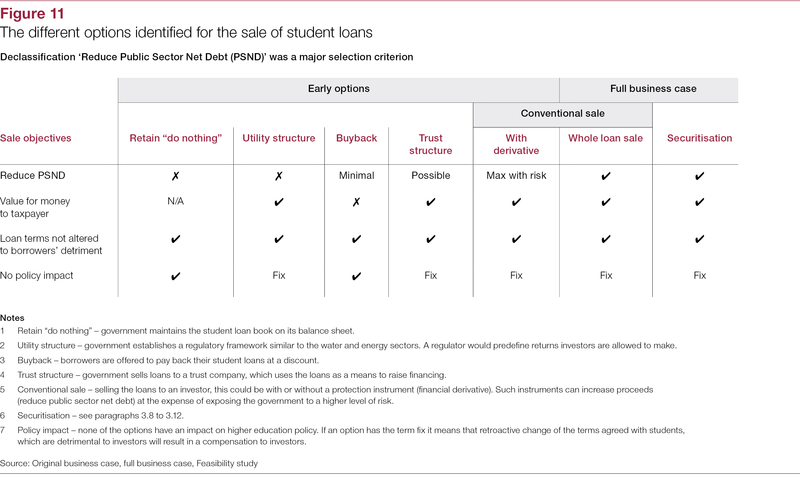 The sale of student loans was conducted under government’s policy to sell assets where there is no policy reason for continued public ownership. 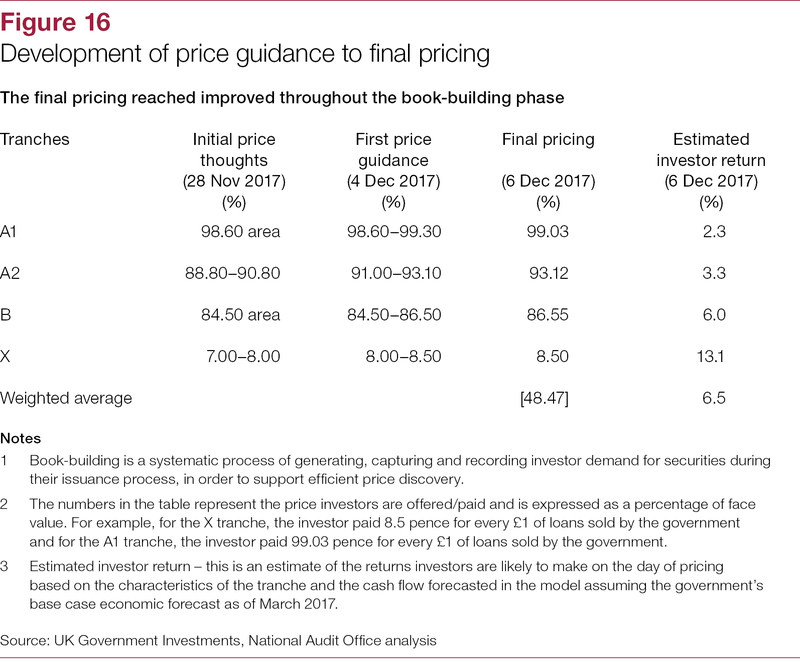 In this context UKGI prepared well for the sale, creating a structure which encouraged investor interest and maintained competitive tension during the process. 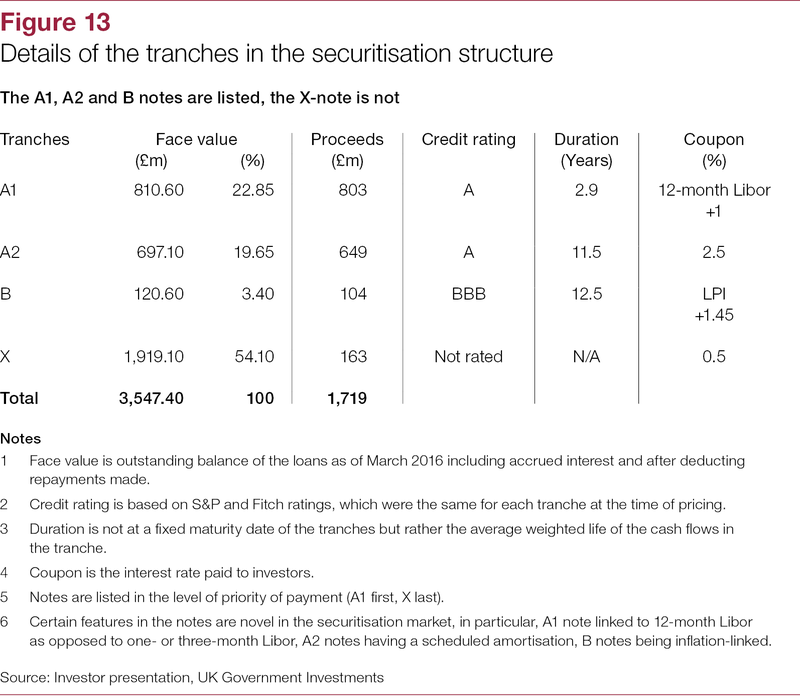 The value of the loans is subject to a high level of uncertainty, but UKGI’s estimates of what investors would pay were reasonable, and the sale achieved prices at the upper end of these estimates. 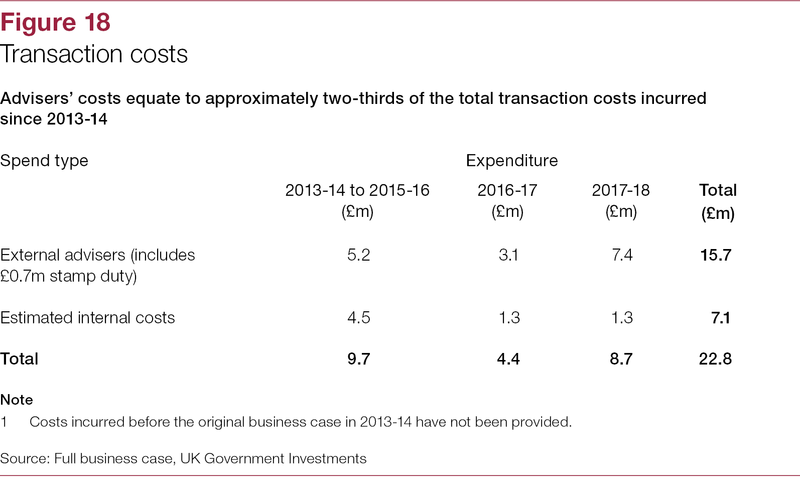 In terms of the preparation, process and proceeds of the transaction itself UKGI has achieved value for money. 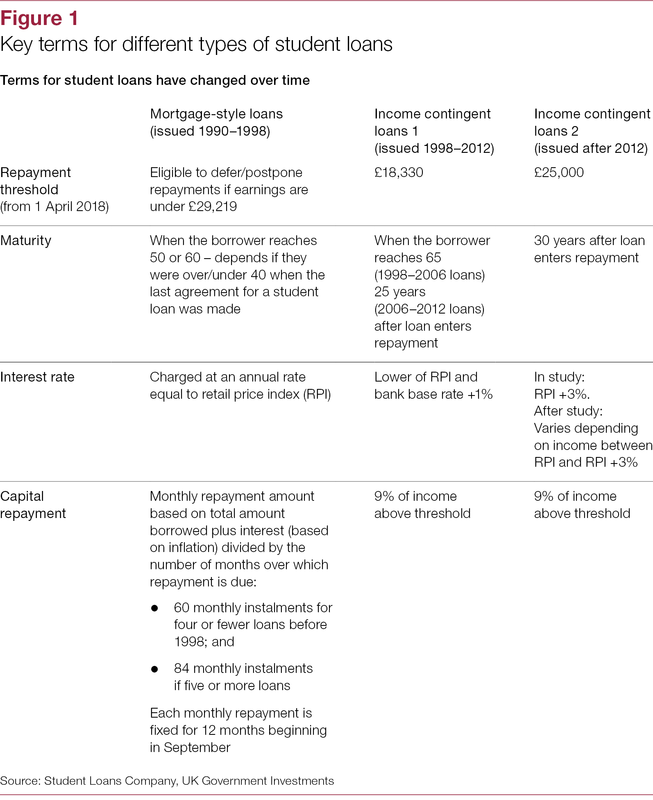 But the sale of student loans also shows limitations in the way that government assesses value for money and measures for the costs of student loans over time. 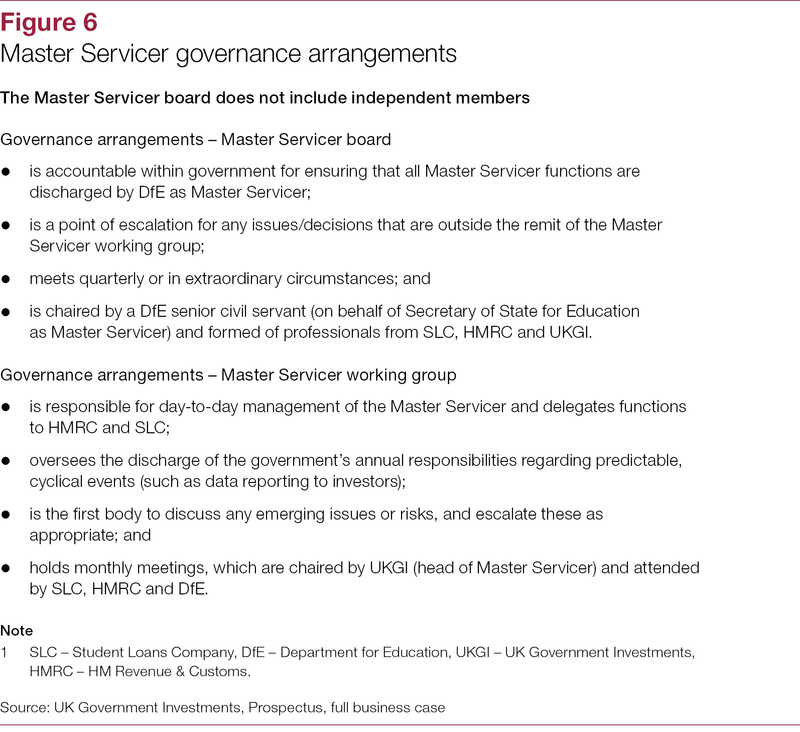 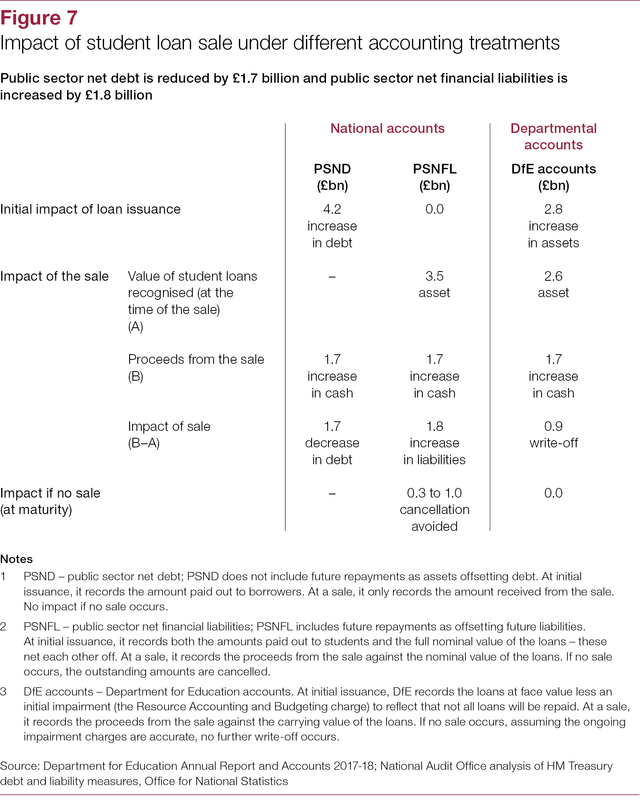 The Department uses one set of assumptions for the cost of student loans when they are added to government’s balance sheet, and HM Treasury uses another set of assumptions in support of its decision to sell them. 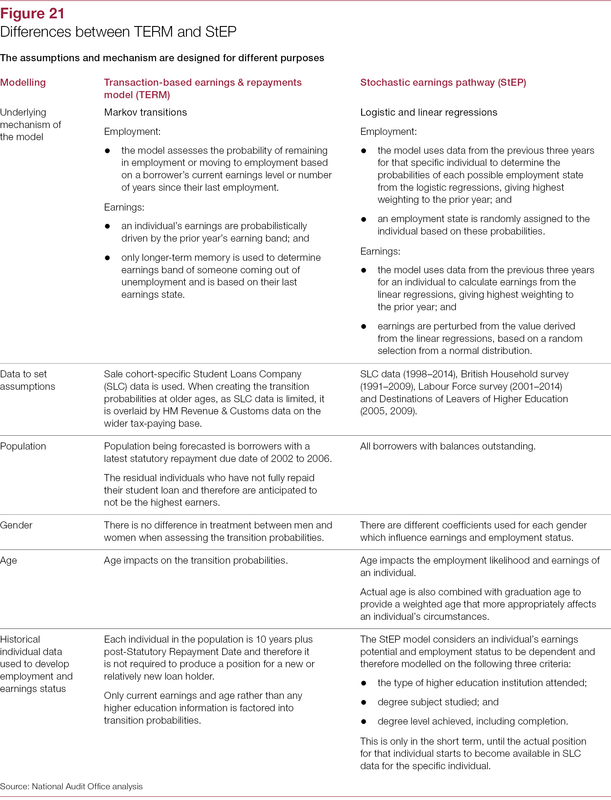 This offers two different ways of calculating the subsidy to, and value of, its rapidly growing student loan portfolio. 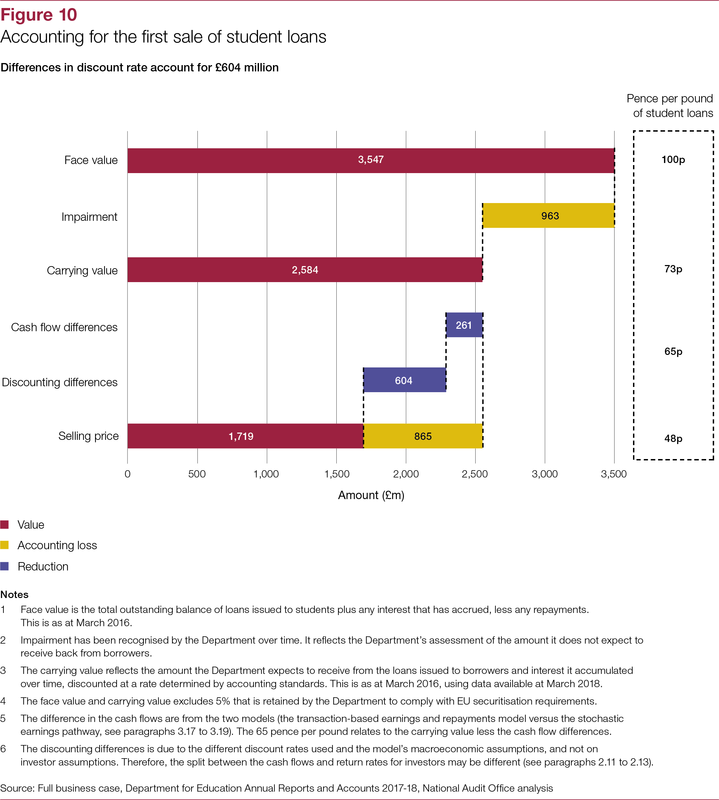 The two approaches give different answers which risks government: not knowing with enough certainty the cost to the taxpayer of student loans when they are issued; and of selling assets too cheaply relative to their long-term value despite achieving its objective of reducing public sector net debt.